Tennis Server - Tennis Warrior - Failing successfully! 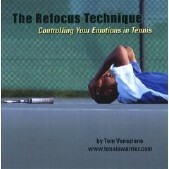 Playing instinctive and spontaneous tennis is your key to better play. In order to play instinctively you must learn to put yourself on automatic. What stops most players from doing this? The answer...FEAR! FEAR of missing, FEAR of mistakes, FEAR of failure. This is true for everyone, even professionals. Fear of missing is a battle we all must overcome. If you would like to play on automatic and win the battle of fear here's a few pointers. First, practice going for your shots in your practice matches whether you miss, fail, or lose. In other words, give yourself the freedom to go for your shots. Stop trying to mentally control every little move you make... let yourself go. Just do it! Second, if you're going to adopt this attitude you must not fear missing. You cannot give yourself the freedom to go for your shots if you are spending all of your time trying NOT to fail. Give yourself the freedom to go for your shots and if you miss...accept it. Failure is part of success. In fact, failure and success are the same...the only difference is success gets up and keeps going. You must learn to deal with your failures by taking responsibility for them. One of the main reasons this is so difficult is because most players do not practice dealing with their mistakes properly. They're too busy being angry or rationalizing their mistakes, instead of just accepting them and moving on. What do you do? 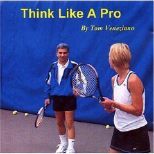 If you ever hope to play instinctive and automatic tennis you must consistently practice these two mental habits. Give yourself the freedom to go for your shots. Learn to deal with your mistakes and failures by accepting them and moving on. Simply said - GIVE YOURSELF THE FREEDOM TO GO FOR YOUR SHOTS AND IF YOU MISS...ACCEPT IT!